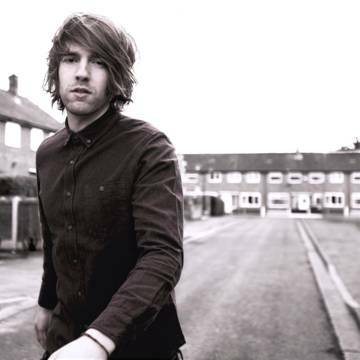 Following the release of his debut album, ‘Fight to Forgive’, independent singer-songwriter Mike Dignam began a two month tour with indie-pop trio, Scouting For Girls. Dignam has formerly supported renowned artists such as Gabrielle Aplin, 5 Seconds of Summer, JP Cooper, Gin Wigmore and American Authors. Dignam’s velvety vocal tones and bare lyrics create an aura of approachability around the artist which radiates warmth and sees the young crowd, much like myself, instinctively and almost immediately lured in to his music. This openness makes for a very humble and honest performance which becomes increasingly alluring and difficult to find displeasure in as the evening continues. The song ‘Hurt’ served as a personal highlight of the set; understated yet crushingly contagious, I can’t deny that I have had it on repeat since the show ended. ‘Fight to Forgive’, which provides the title of Dignam’s debut album, strives towards a more anthemic sound. However, I found the song to be remarkably forgettable and the lyrics, “should I fight to forgive or stand up to it”, to be more clichéd than the rest of Dignam’s set. I can’t help feeling that it is ‘Hurt’ which truly deserved to be the forerunner of both the album and tonight’s show. The softer, overcast tones of ‘Addict’ are another highlight of the night. The repetition of the lyrics “give me more” create a sense of circling, impending doom which aptly reflect the song’s themes. ‘Dark Mornings’ delicately lays Dignam’s vocal and song-writing skills bare in front of the audience, and they are accepted with pleasure. Its purity, nakedness and vulnerability are nigh impossible to condemn, and the song showcases the emotional intensity of Dignam’s performance better than any other moment during the course of the show. Some welcome and notably upbeat relief from the otherwise predominantly subdued set is provided by the Arctic Monkeys-like sounds of ‘How Can I Make You Mine’. Posted in Music and tagged gig, mike gignam, Music, review. Bookmark the permalink.